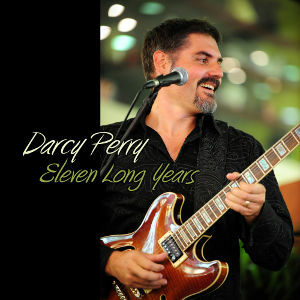 The new offering from Darcy Perry is an eclectic mix of songs, mostly recorded from 2007 through to 2012, with final recording and mastering in 2013 by Regan McKinnon at The Porch in Hamilton. 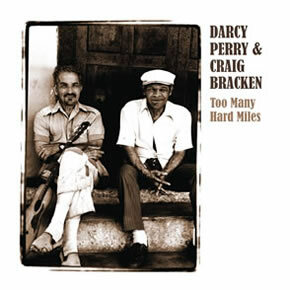 The album features long-time collaborators; brother Regan Perry brings the funk to Shine On, Simen Aanerud's Love In Vain is a powerhouse of rock, Craig Bracken's soulful harmonica on Thursday Blues and Daron MacDonald's majestic Hammond on Blues For Earl. Says Perry, "I think of it as a patchwork quilt of many colours. Individually, each song has its own quality. Together, it’s a mosaic of my life. Eleven Long Years is a gift to my family, friends, musicians and music fans who have supported the band from the beginning." "Eleven Long Years" now on iTunes, Amplifier, Amazon, Google Play and Spotify. 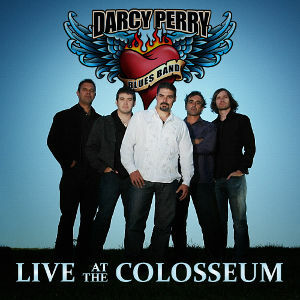 Here comes the Darcy Perry Band, live, rough and raw. From the down-home opening refrain of Ten Thousand Miles From Norway, the crowd is guaranteed an unforgettable night of blues music. There are some house rockin’ moments here, with incendiary performances of Don’t Hold Back, Leave This Town and Night and Day. The seminal It’s All Good, which features the prodigious talent of local guitarist Joel Shadbolt, turns out to be a 12 minute tour de force of blues power. For the finale, members of the support act are invited on stage to perform Blues Man, a fan favourite from the Harmonica Masters of New Zealand album. Recorded and mastered by Mark Fruish (Digital Creative Solutions) during the Harmonica Masters Tour, 29th November 2007 at the Colosseum (Tauranga, NZ). The line-up includes Glen Child on drums, Paul Merriot on bass, harp maestro Craig Bracken and Norwegian piano legend Simen ‘bluekeys’ Taylor. The last track 'Blues Man' also features Doc Span (Chicago harmonica master on tour with the band), Joel Shadbolt (guitar), Regan Perry (guitar), Adam ‘Mani’ Sharplin (bass) and Grant Bullot (harmonica). "Live At The Colosseum" now on iTunes, Amplifier, Amazon, Google Play and Spotify. 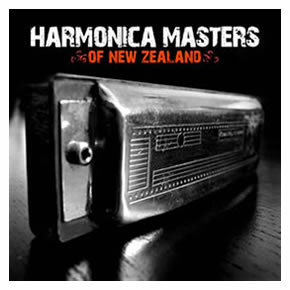 "New Zealand’s finest harmonica players and their own songs on one album. Such a compilation has never been attempted before. These are the players who may be gigging at your local pub, performing at the many festivals around the country, supporting high profile overseas acts, or touring the world as ambassadors for New Zealand music. 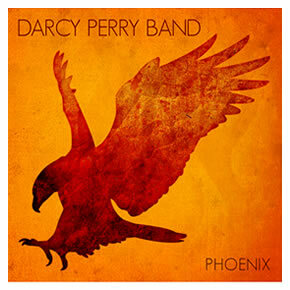 Each player has their own style and though today the harmonica is mostly associated with blues and country music, there are funk, rock, Irish and folk influences to be heard on this album." 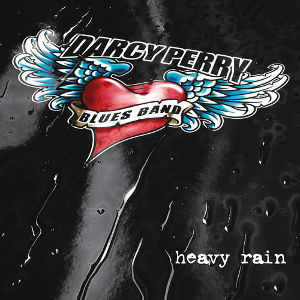 Hailed as “one of the new breed of blues guitar heroes”, Perry earns his reputation as a charismatic live performer, with the band that went from playing bars to headlining international music festivals; harmonica ace Craig Bracken, Norwegian pianist Simen 'bluekeys' Taylor, bass player Paul Merriott and drummer Justin Roys. A double-disc album recorded by Paul Krippner (PK Sound) on Friday night the 24th of February, at the Hamilton Gardens Summer Arts Festival. With plenty of improvised musical adventures, including some of the group's best known songs, this album captures blistering call and response between musicians who share a deep understanding of the blues. For the latter half of the concert they are also joined by the Young Blood Horns; Alistair Porter (trombone) and Andrew Hall (saxophones). 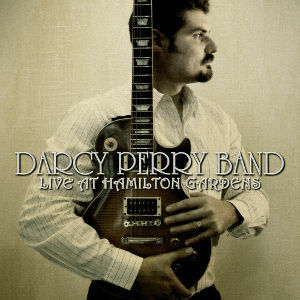 Darcy's brother, Regan Perry (guitarist for Cornerstone Roots), also features as a special guest. Mastered by Jason Backhouse at More Core Audio, Kelston, Auckland, NZ. "Live At Hamilton Gardens" now on iTunes, Amplifier, Amazon, Google Play and Spotify. "This is WORLD CLASS blues!" 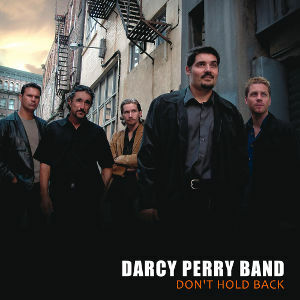 Darcy Perry (vocals, guitar, harmonica), Simen Aanerud piano), Alex Griffith (bass), Fred Limbert (drums), Nigel Bioletti (saxophone), Kim Patterson (trumpet). Recorded and engineered by Gordon Joll at the Java Jive, Ponsonby, Auckland, NZ. Mastered by Simon Lynch at Stebbing Recording, Herne Bay, Auckland, NZ. 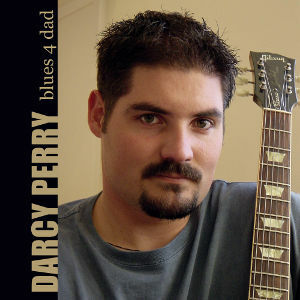 "Blues 4 Dad" now on iTunes, Amazon, Amplifier, Google Play and Spotify.